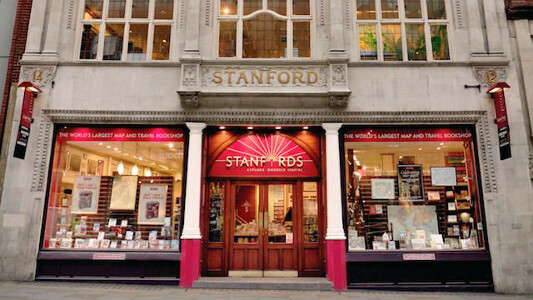 Stanfords is a specialist bookshop located in Covent Garden, London, specializing in maps and travel books. 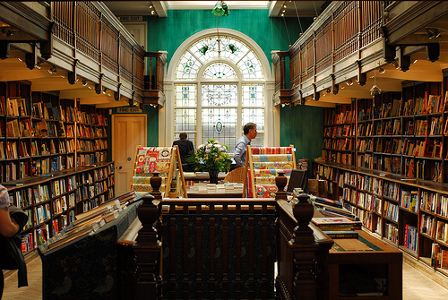 For over 160 years, the store has supplied explorers (including Captain Robert Scott, Sir Ernest Henry Shackleton, Florence Nightingale, Michael Palin and Bill Bryson), with the equipment they have needed for their expeditions, such as maps, guides and gadgets. 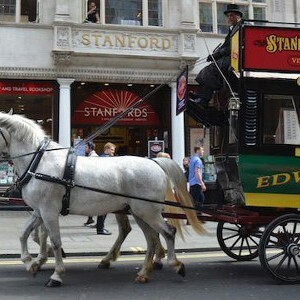 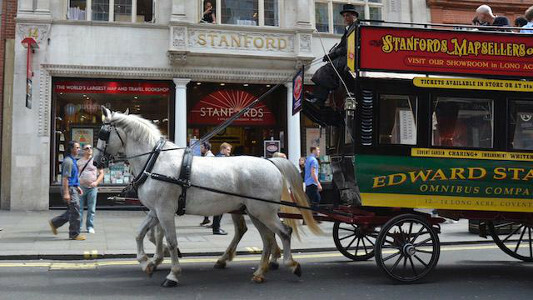 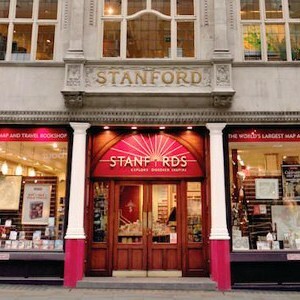 Stanfords is considered the biggest travel bookshop in the world! 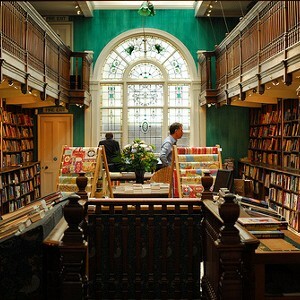 They hold multiple events in-store, from book authors talking about their travel books, to evenings held relating to adventures you can take around Britain – whether that be by car, foot or bike. 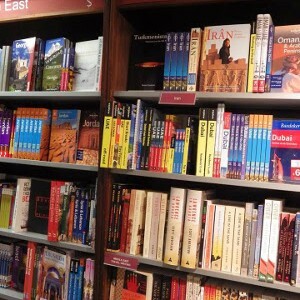 They also have many destination guides, for those who wish to travel further than Britain (the full list of this guide can be found on the website). 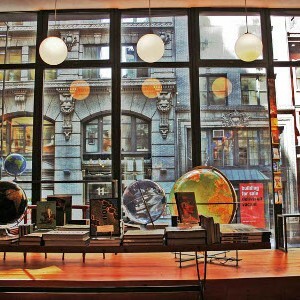 Other items they sell include road maps and atlases, cycling guides and maps, wall maps, and globes (as photographed)! 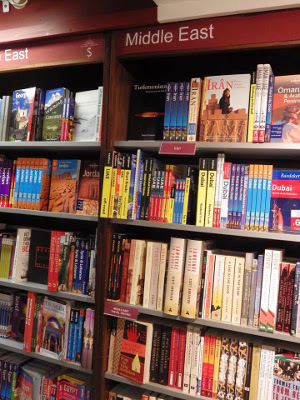 Also, be sure not to miss out on the book of the month! 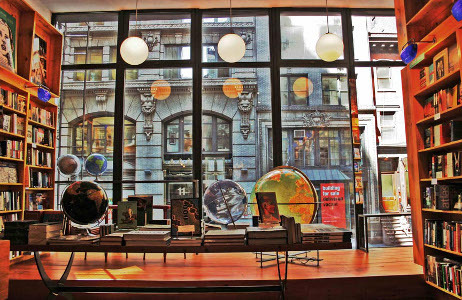 Any adventurous explorer, keen traveler, or those who love books on the topic of travel will love Stanfords. 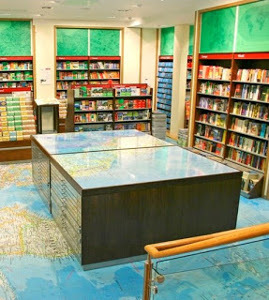 However, there really is no place else on earth with more maps, books, travel accessories and globes under one roof – therefore this huge London bookshop is definitely worth checking out for anybody!